Canaan Media can convert PAL tapes or SECAM tapes (VHS-C, S-VHS, S-VHS-C, D-VHS) tapes in a professional matter, to create a high quality long-term archive. For Transfer VHS: NTSC, click here. The Video Home System (VHS) is a standard for consumer-level use of analog recording on videotape cassettes. 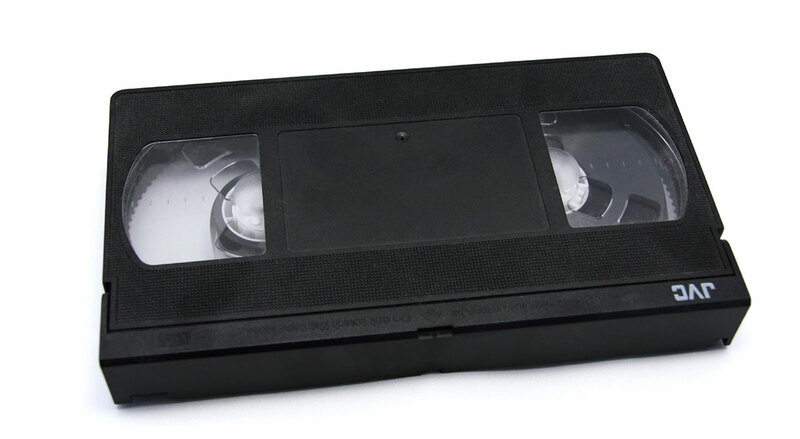 Originally VHS was an acronym for Vertical Helical Scan (a reference to the recording system used) but was later changed to the more consumer-friendly Video Home System. It was developed by Victor Company of Japan (JVC) in the 1970s. The 1950s began the era when magnetic tape video recording became a major contributor to the television industry, via the first commercialized video tape recorders (VTRs). At that time, the devices were used only in expensive professional environments such as television studios and medical imaging (fluoroscopy). In the 1970s, videotape entered home use, creating the home video industry and changing the economics of the television and movie businesses. In the 1980s and 1990s, at the peak of VHS’ popularity, the home video industry was caught up in a series of videotape format wars. Two of the formats, VHS and Betamax, received the most media exposure. VHS would eventually win the war, and therefore succeed as the dominant home video format, lasting throughout the tape format period. In later years, optical disc formats began to offer better quality than video tape. The earliest of these formats, LaserDisc, was not widely adopted. However, the introduction of the DVD format to American consumers in 1997 began the market share decline of VHS. By 2008, DVD had achieved mass acceptance and replaced VHS as the preferred method of distribution. 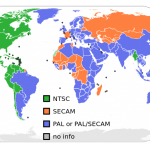 SECAM, also written SÉCAM (French for “Sequential Color with Memory”), is an analog color television system first used in France. A team led by Henri de France working at Compagnie Française de Télévision (later bought by Thomson, now Technicolor) invented SECAM. 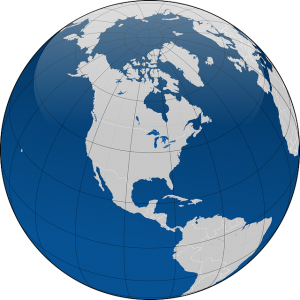 It is, historically, the first European color television standard. 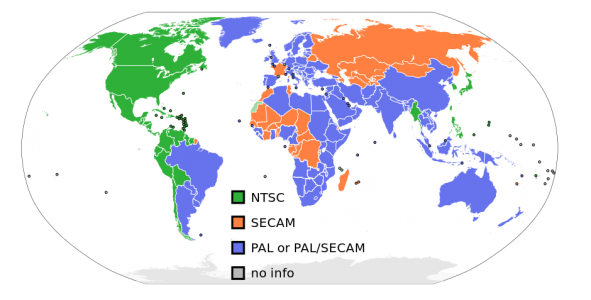 SECAM is in the process of being phased out and replaced by DVB. SKU: n/a. 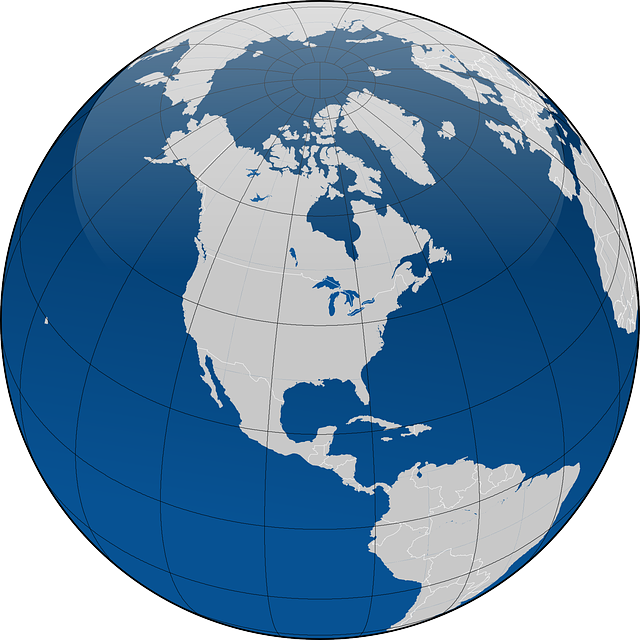 Category: Foreign Standard Conversion (PAL NTSC SECAM).